Helga Nowotny is Professor emerita of Science and Technology Studies, ETH Zurich, and a founding member of the European Research Council. In 2007 she was elected ERC Vice President and between in March 2010 until December 2013 ERC President. In January 2014 Prof. Nowotny was appointed Chair of the ERA Council Forum Austria. She is a member of the Austrian Council for Research and Technology Development and Visiting Professor at Nanyang Technological University, Singapore. 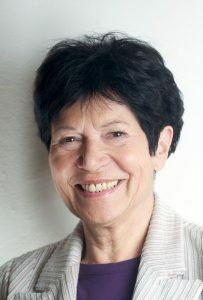 Helga Nowotny is a member of the Board of Trustees of the Falling Walls Foundation, Berlin; Vice-President of the Lindau Nobel Laureate Meetings; President of the Scientific Advisory Board of the Complexity Science Hub, Vienna; and active in several other advisory boards in Paris, Munich, Amsterdam and Budapest. She is a Foreign Member of the Royal Swedish Academy of Sciences and of scientific academies based in Belgium, Germany, Italy, Sweden, Austria and a Fellow of the American Association for the Advancement of Science, USA. Recently, she has been honoured by the rarely awarded Gold Medal of the Academia Europaea and the British Academy President’s Medal. She has received honorary doctorates from universities and academic institutions in Belgium, Netherlands, Germany, Israel, Norway, Singapore and the United Kingdom. In June 2018 she received an honorary doctorate from Oxford University and the Leibniz Medal. Her latest books are The Cunning of Uncertainty (Polity, 2015) and An Orderly Mess (CEU Press, 2017).